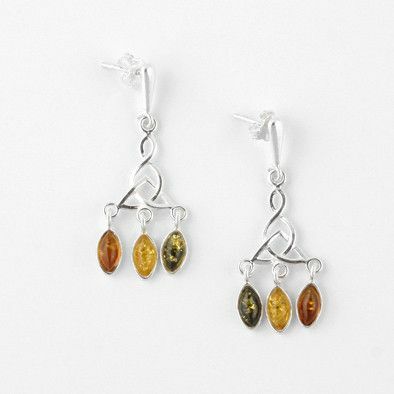 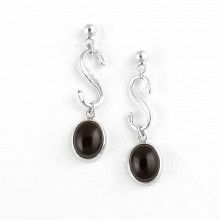 These unique pair of earrings feature a silver Celtic design with dangling amber stones of varying hues. 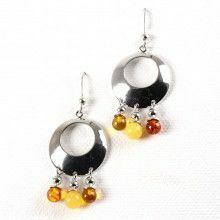 The genuine amber from Russia is approximately 5/16" long, 3/16" wide. 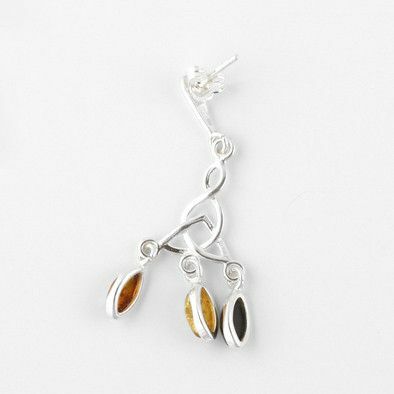 These stud-back earrings are about 1 3/4" in total length.